Sarasota Dog is committed to keeping dog lovers in Sarasota informed and entertained. We’ll keep you up-to-date on local events, shelters and dog-friendly activities with our online magazine and resource guide. Our researchers will deliver the latest in health, and medical news and especially what we need to be aware of here in Florida. Adoptable dogs and our local shelters and rescue groups will also be featured here. By bringing all of the elements and resources together on one site, SarasotaDog.com will be your one stop destination for all things dog. You can land here to find a groomer, a veterinarian, a dog trainer, local restaurant or information about the on and off-leash parks. New in town? We can help you find where to buy all natural dog food in Sarasota, toys and all the things you need for your dog. You can also access SarasotaDog.com from your smart phone to help you navigate to places that we recommend. If you have a question or would like to alert SarasotaDog.com to news, just drop us a line at Info@Sarasota Dog.com, or call 941-681-0364. Welcome to the SarasotaDog.com – your online dog magazine, your source for all things dog in Sarasota – looking forward to seeing your around town! 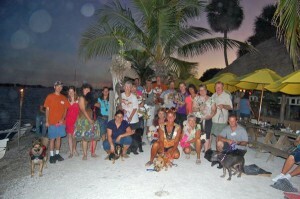 Please be advised that the information and ideas on SarasotaDog.com are views and opinions. You should always seek the advice and counsel of your own veterinarian for your unique situation.